If you are still trying to plan a summer vacation within driving distance from Chicago, this article recommends Door County WI, Traverse City MI, Lake Winnebego WI & other destinations in and around the great lakes! Follow link to read full article and recommendations. HAPPY SUMMER! (CNN) — Waking to another cloudless morning, you dive off your houseboat into the wild blue of Lake Powell in southern Utah. The water takes the edge off the heat, and you float along, contemplating a lazy day of navigating spectacular red-rock gorges and flooded canyons. Brian Raub, founder of Lakelubbers.com, says lakes have an inherent advantage over the ocean when it comes to vacations. And temperature isn’t your only choice: America offers a lake vacation for every season and activity, and no matter where you live, even in the Southwest desert, chances are there’s one near you. Satellite mapping has yet to yield a precise answer, but the best guess is that there are between 3 and 4 million lakes across the U.S., ranging from duck ponds to wonders like Oregon’s Crater Lake. via 10 of America’s best lake vacations – CNN.com. 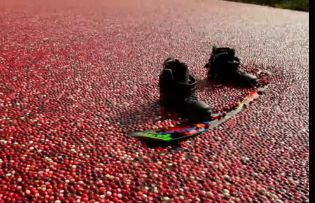 via Wakeboarding a cranberry bog – Episode 3 – Red Bull Winch Sessions – YouTube. NEW YORK (WABC) — Mary Kocy throws logic overboard when she fastens her skis and dips into the Hudson River. “I prepared by getting Hep A shots and tetanus shots,” she said. That’s to make sure she doesn’t get sick from the water, which is currently littered with flotsam from Hurricane Irene. via Woman to water ski around Manhattan for veterans | 7online.com. You have to see this video to believe it! I’ll be honest, I am turning 40 in a few weeks. I have yet to water ski this summer for fear of re-injuring my knee. And this 86yr old is getting up on ONE ski! Good for him!